Visit the Gretchen's Wheel channel on YouTube for more. Lindsay Murray’s solo project Gretchen’s Wheel returns with a new release, Moth to Lamplight: A Tribute to Nada Surf (March 22, 2019, Futureman Records). In mid-2018, Murray started planning to record the tribute album, eventually narrowing the track list down to eight songs, “with great difficulty,” she says. “I wanted the songs to be fairly evenly distributed over their discography. It was so hard to omit some of my huge favorites...the idea of going wild and making it a double album was pretty tempting!” she adds. 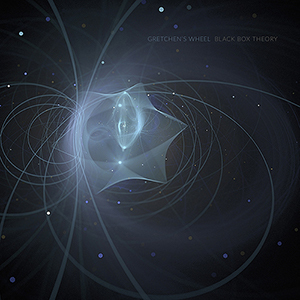 Like her previous album, Black Box Theory (2018), this album was recorded primarily by Murray in her home studio near Nashville, TN, where she recorded everything except drums, and drums were recorded by Nick Bertling (bertling noise laboratories) in Chicago, IL. Bertling also mixed and mastered the album. Moth to Lamplight was released March 22, 2019 and is available on Bandcamp and all other major digital/streaming platforms. "Imagine Sloan fronted by Chrissie Hynde...One of the most underrated female vocalists around." Full review on "I Don't Hear a Single"